If Greece defaults on its debt, it will be the biggest default by a country in history. 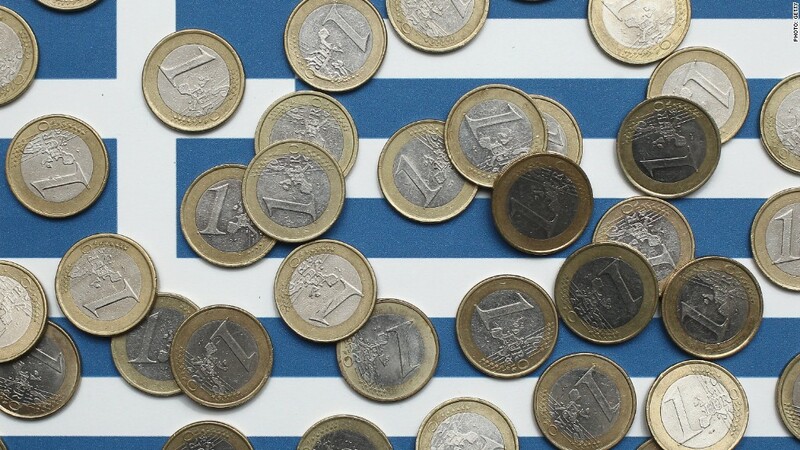 Greece is expected to miss a €1.5 billion ($1.7 billion) debt payment on Tuesday. That won't be enough to put it in the record books yet, but it could eventually make Greece default on its entire debt load: €323 billion ($360 billion). This isn't the first time Greece has been on the brink. Greece already holds the record for the biggest default ever by a country from 2012 when it went into technical default and had to restructure about $138 billion of its debt. Back then, Greece was quickly bailed out by its European peers. That's unlikely to happen now. The Greek government pulled its negotiators from talks with European officials Friday after little progress was made on a debt payment plan and economic reforms. Greece has called for a referendum vote on July 5 on the latest proposal from Europe and the International Monetary Fund. Greece already holds the record: Greece's 2012 technical default shattered the previous record set by Argentina in 2001, when the South American nation defaulted on $95 billion in debt. While there are parallels between the two countries, experts say this potential Greek default could be much worse. "Things are incredibly dire," says Anna Gelpern, a Georgetown University professor. "For political reasons and market-confidence reasons, they need to deal with the debt...It's not clear to me how they deal with it without defaulting on anyone." Greece won't officially be in default right away. The International Monetary Fund generally gives countries a month after missing a debt payment before it declares a country in defaulted. However, the markets will most likely judge Greece to be in default by July 1. Greece's debt is spread out across the board. Greece owes money to the International Monetary Fund, Germany, France, Greek banks and several others. But consider this: Whatever happens to Greece, it's likely to be a long process. Argentina is still in default. But a key difference is that Greece has four times the debt load of Argentina -- the next worst default -- but Greece's economy is only half the size of Argentina's. While Greece would be the biggest sovereign default, Lehman Brothers had over $600 billion in assets when it filed for bankruptcy in 2008. A Greek default would be smaller and unlikely to rattle the global financial system like Lehman, but it would have a long-lasting impact on the Greek people. Here are some of the worst sovereign defaults since 2000. Related: Puerto Rico Governor: commonwealth near "death spiral"
1. Greece -- $138 billion, March 2012. Despite going into a technical default, the Greek government is propped up by bailout funds from its European peers. Those bailout funds eventually lead to the current dilemma. 2. Argentina -- $95 billion, November 2001. Argentina's currency was "pegged" or equal to one U.S. dollar for years -- a currency exchange that eventually proved to be completely inaccurate. Like Greece is doing this week, Argentina also clamped down on Argentines trying to take money out of the banks. It didn't help. The country's economy was nearly three times smaller just one year later, according to IMF data. In July 2014, Argentina went into a technical default after it missed a debt payment to its hold out creditors. 3. Jamaica -- $7.9 billion, February 2010. Massive government overspending for years and rapid inflation pushed Jamaica into default five years ago. At the time, over 40% of the government's budget went to paying debts. Its economy, which depends on tourism, suffered when the U.S. recession began in late 2008. 4. Ecuador -- $3.2 billion, December 2008. Ecuador pulled a fast one on its creditors. With a debt payment looming, the Ecuardor's government, led by President Rafael Correa, just said no to its creditors. He claimed the debt, some which was owned by American hedge funds, was "immoral." Rich in resources, Ecuardor could have made debt payments, but intentionally chose not to.